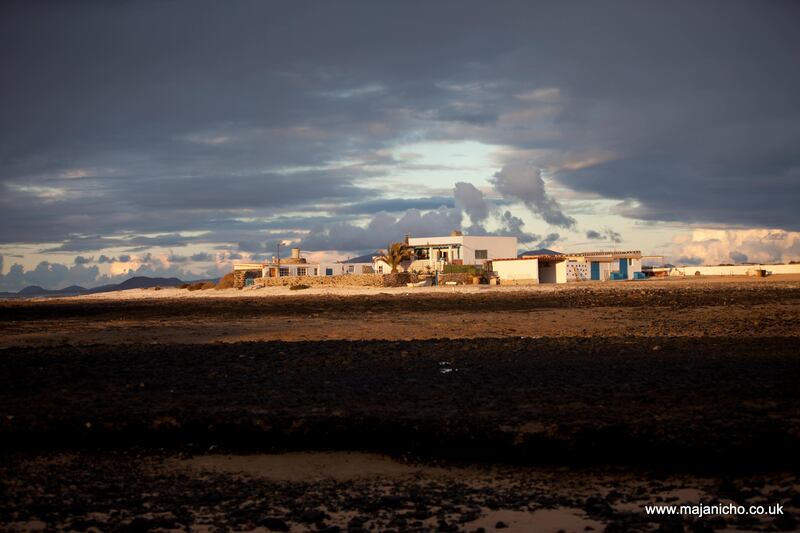 Villa Bocaina Majanicho, Fuerteventura - Adventures on the north shore!! Surfing /watersports / mountainbiking etc. Adventures on the north shore!! Click on the links to the immediate left to see many of the activities and adventures holiday makers can enjoy on the north shore in and around Majanicho. 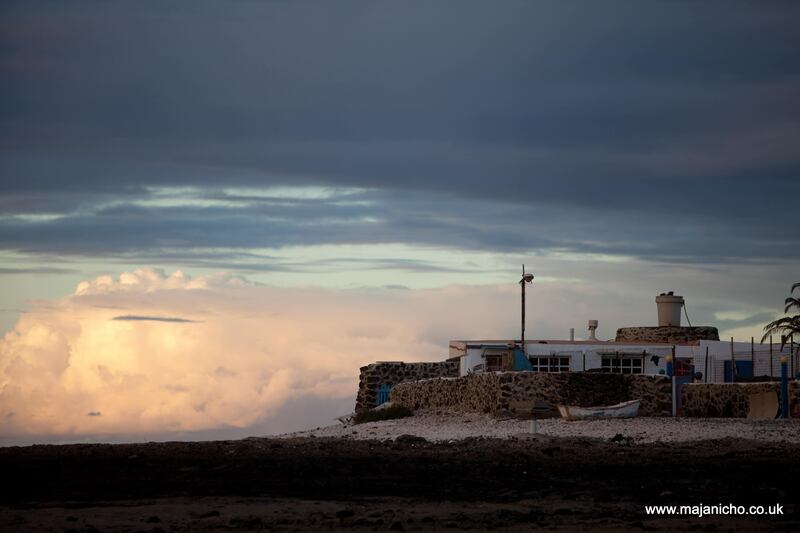 Majanicho is a small fishing village situated on the famous north shore of Fuerteventura, approimately halfway between Corralejo and El Cotillo, and ten minutes walk from Villa Bocaina. It is a popular 'stopping off point' for anyone contemplating the journey between the two towns, be it on foot, bicycle or mountain bike. 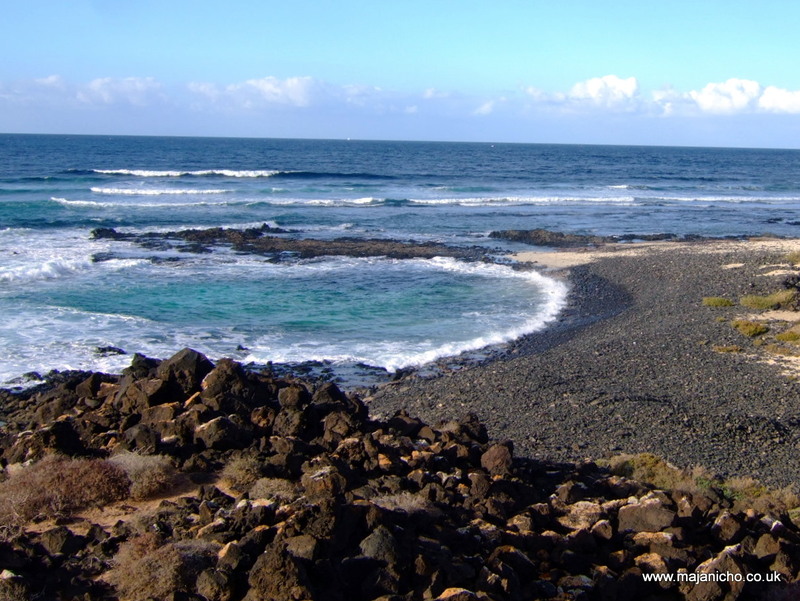 A great place for a picnic or a cooling swim in the calm, sheltered water of the bay. 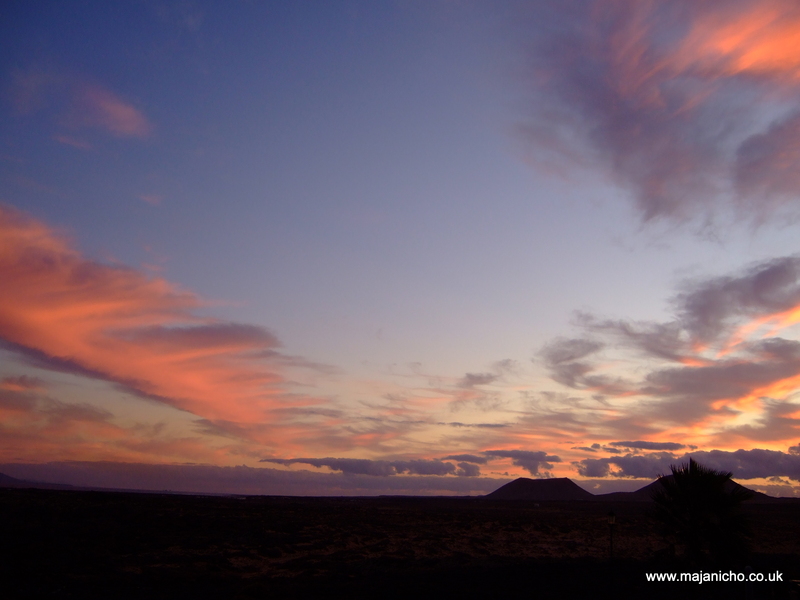 Also well known for it's fabulous sunsets, it offers a rare apportunity to appreciate the real tranquility this part of the island is famous for. Majanicho 'fresh fish preperation area, with additional sun protection'. For those of you that do not know us, we fell in love with Fuerteventura many years ago whilst enjoying a family holiday. Since then we have revisited many times and pride ourselves on our knowledge of the Island. 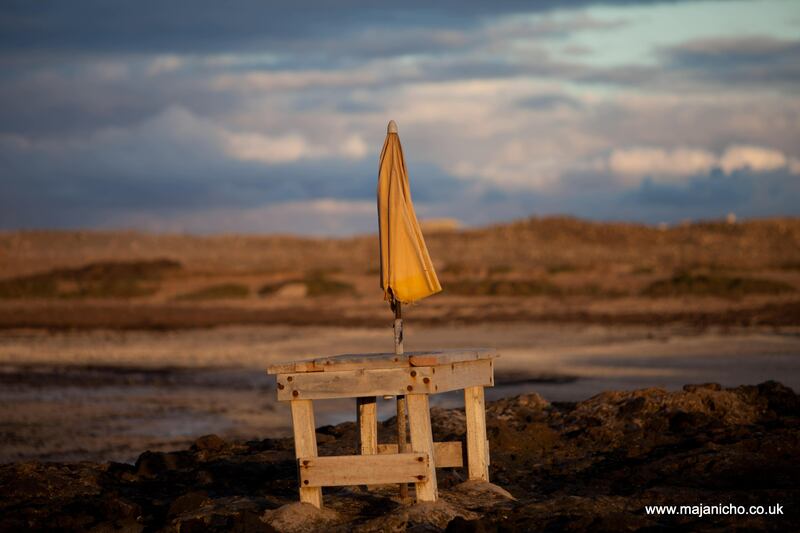 We have also made many friends, some who have settled in Fuerteventura and others that still visit regularly. We welcome feedback and this helps us to keep up to date with what is happening on the Island and this we hope to pass on to prospective customers who wish to share the experience. We would like to exprees our gratitude to family friends and past customers for the contribution they have made. We would also like to express our gratitude to Sebastian for providing us with some of the fantastic pictures he took during his recent holiday. Julie, Becky, Joe and Hugh at a fish restaurant in Los Molinos.